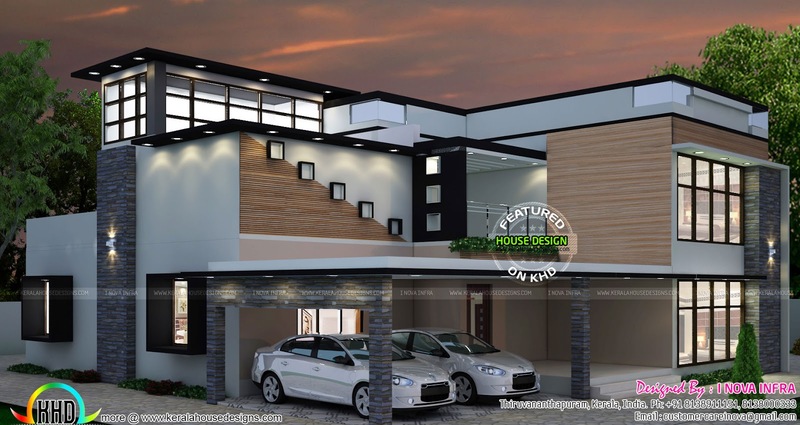 3700 square feet (344 square meter) (411 square yards) 4 bedroom attached flat roof modern contemporary home exterior plan. There are 4 bedrooms in this house. 3 of them placed on the ground floor and 1 on the top floor. 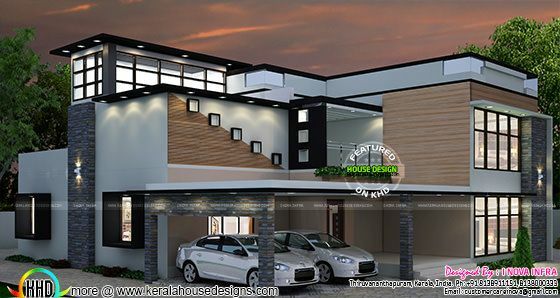 Design provided by I Nova Infra, Thiruvananthapuram, Kerala. Ground floor : 2400 Sq. Ft.
1 comments on "4 BHK modern contemporary residence"
This is very beautiful, would you kindly include the floor plan.